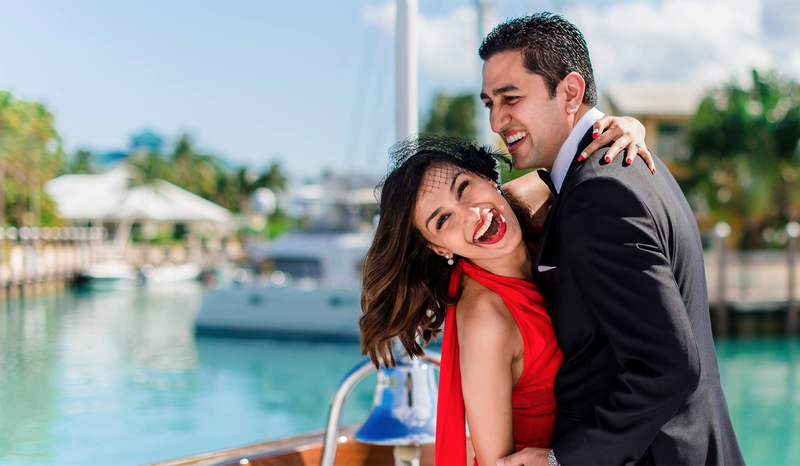 Professional and International Style Pre-Wedding Shoot at Bahamas by North Water Star. The Bahamas is the perfect destination for a warm and intimate wedding ceremony for many people all over the world. Filled with fantastic beaches and amazing views, North Water Star had the perfect setting to capture some stunning and unique pre-wedding photos for some lovely couples. The day was bright and sunny and the breeze was cool and refreshing as we got to work. Take a look at our professional photography in action. For the first couple, the soon-to-be man and wife chose a boat photo shoot. It was a fun and romantic session, and the couple were photogenic, making them very easy to work with. They laughed and held each other; showing that they were having a good time. The bride to-be wore a red dress that screamed confident and applied light makeup with red lipstick. Her groom to-be wore a black suit and white shirt. They looked very good together, which made for a perfect photo shoot. The second couple took their photos by the beach, and their session was more intimate, as the couple where in each other’s embrace and shared passionate kisses. The couple could not get their hands of each other. For the first set, they took photos on the rocks close to the water. The bride to-be was in a blue dress, and the hubby was in a blue shirt and khaki pants. 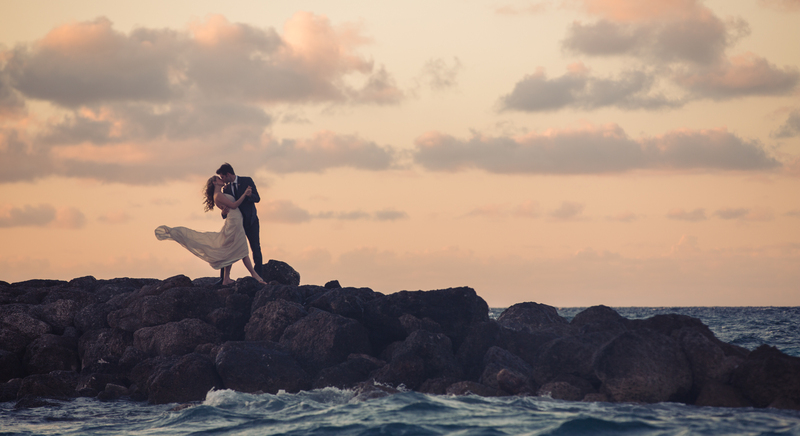 For the second set, the couple opted for a shoot by the rocks with the wind blowing at them and the waves hitting the rock and the sun setting. The couple posed for the camera while holding each other and kissing. The bride to-be wore a white and pink maxi dress with white sandals, which made her look very gorgeous. They were both naturals and very easy to work with.